The IRS is expected to audit fewer returns this tax season. However, there are some red flags that will tempt them to audit your tax return and we will be discussing them today. 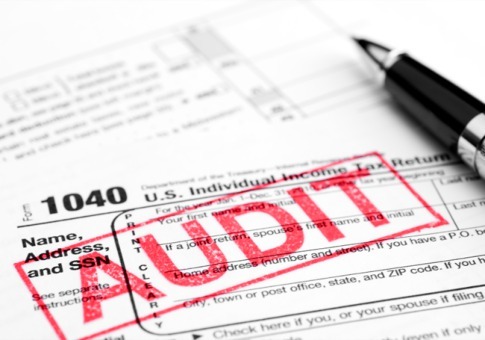 The IRS has lowered the amount of audits that they will do. In addition, the good news is majority of taxpayers are not a target. However, those who are rich are a different story. Auditors are focused on them since they make a lot of money. For example, those who made less than $200,000, your chance of being audited are 0.88%. However, if you made more than $1 million your chance goes up to 3.26%. While business entertainment deductions are acceptable, if you have a large amount of them you are setting off flags with the IRS. You want to make sure that you are writing off the correct deductions and not just trying to reduce the amount that you owe the IRS. When writing off business deductions for home based businesses, you can set off red flags with the IRS, especially when it comes to the home office deduction. It is important to make sure that you are taking deductions correctly and have receipts and other proof just in case you are one of the unlucky taxpayers that the IRS decides to audit. Huddleston Tax CPAs, a Seattle CPA firm, can you minimize your tax burden. It is understandable that everyone wants to pay the least amount of taxes possible. However, it is important that you can verify your deductions in the event that the IRS decides to audit you. Give us a call at (425) 483-6600!